Since teeth and the underlying supporting bone work together to create the fullness and contour in a person’s face, patients who have lost all of their teeth often will have a sunken, older appearance. Implants are an option for replacement of a missing tooth or teeth and often can be made more aesthetic than conventional techniques such as bridges or partial dentures. Implants can support dentures and prevent the bone loss and facial aging that unsupported dentures can cause. Implants can simply replace full dentures for a natural appearance and greater comfort. A prosthetic fixture (usually made of titanium) is placed into the bone beneath the gum tissue. The implant serves as a “virtual root” onto which a tooth or teeth can be affixed. 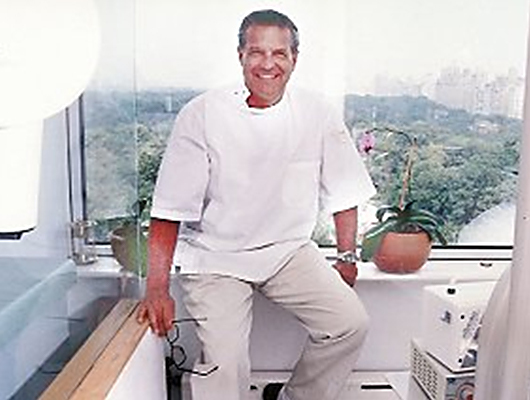 Dr. Braverman has been practicing implant dentistry in New York City for many years and has provided quality dental implants to many satisfied clients. After placement, the implant site is allowed to heal for four to six months. Placement of the implant requires the use of a local anesthetic (novocaine) and healing is usually quick with minimal discomfort. After healing, the top portion of the implant is exposed for placement of the final restoration. This part of the procedure is performed in Dr. Braverman’s office by our onsite Periodontist, a specialist in gum and bone surgery, and then restored cosmetically (crown placement) by Dr. Braverman. Although they take longer to place and can be more costly than other options, implants are considered a permanent restoration and have a very natural appearance. Research is currently being conducted on a single-visit, one-step implant that requires little or no healing time. Implants are considered a state-of-the-art option for tooth replacement. Dr. Braverman has been practicing implant dentistry in New York City for many years and has provided quality dental implants to many satisfied clients. If you live in New York and you are unhappy with your smile, contact Dr. Braverman at 212-688-3838 to schedule a free consultation for dental implants. 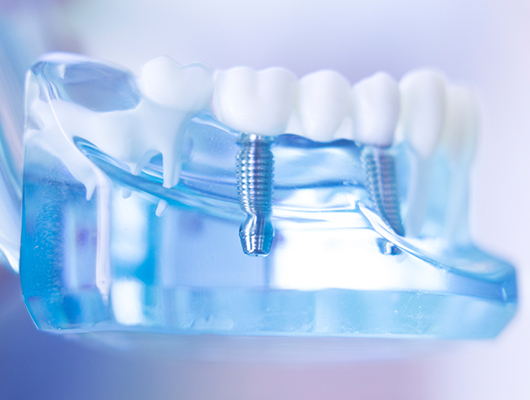 Dental implants may be the beginning to a pearly white smile.